The art of winemaking goes far beyond the finished product; here at The Village Winemaker, we are truly proud of producing quality wine in a warm and inviting atmosphere. 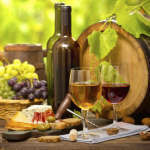 Enjoy the whole experience of craft winemaking and get involved at The Village Winemaker. We guarantee all of our wines because our goal is for you, our customer, to make wine that you are excited about drinking and sharing with your friends and family.